Magnets are cool. There is no doubt about it. 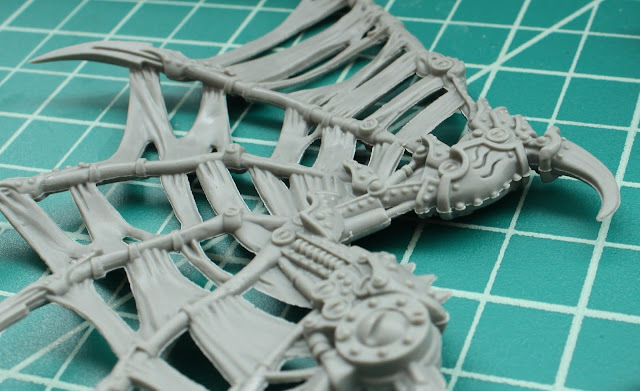 Being able to swap and use all the weapons that come with a kit is really fun, but also, for our big kits, having some parts magnetized is a great option for storing and moving these monsters around. 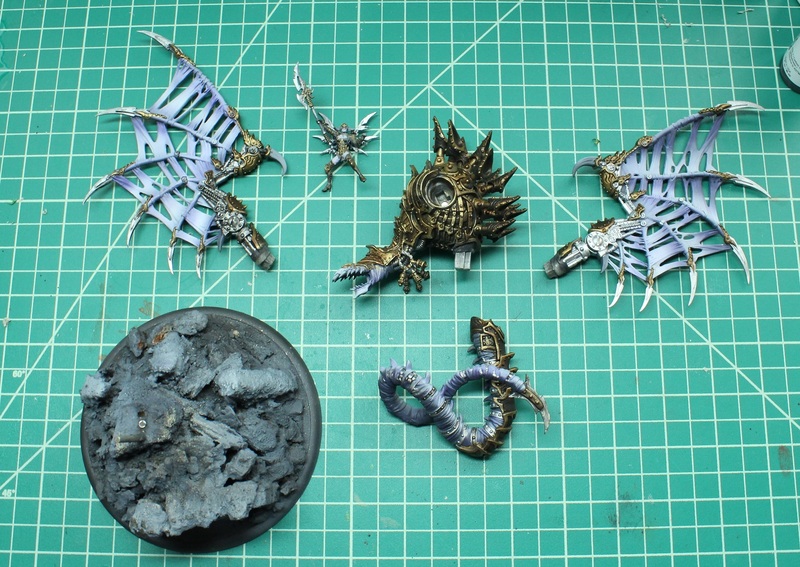 Here is a little step-by-step of how I magnetized Denghra. 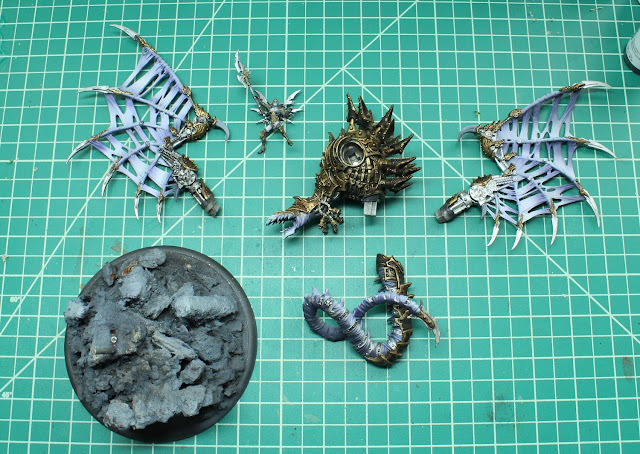 In the WIP picture above you can see all of the joints that I have magnetized. Ole, who is getting this piece is a serious gamer and he wants to take it down to the game store to show off to his friends.